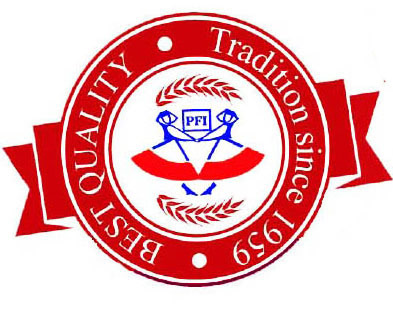 For over 55 years, Polish Folklore Imports has always strived to provide the highest quality products and service. The new website design is stunning! I have purchased several bottles of your Excellent syrup to use as a flavoring for plain Seltzer water. Being diabetic I have to closely monitor my sugar intake and adding a small amount of your syrup to a can of seltzer water makes for a very delectable and refreshing low sugar drink. Thank you producing and marketing these very flavorful products. A Very Grateful 73 year old man – Dziekuje Bardzo!!! I live in Salem, Oregon and recently found your “cucombers in brine” they were a close out and I bought them all! They are soo good! Can you tell me where I can get more! Who carries them in the Salem-Portland area! Please help me, those are just like my Polish grandmother makes! I used to regularly buy your products at my local H. E B. grocery store > in The Woodlands, Texas, USA, 77381. I was especially fond of your > sauerkraut. It tasted just like my family’s own home made version. The > three stores near my location no longer stock your products. Do you have > someone local to Texas that may carry your products. My husband purchased your pickles at our local Dilion’s Marketplace, in Derby, Kansas, U.S.A. We loved them from the first jar, and always have a jar in the refrigerator no to enjoy with our meals and snacks. Our “Thank You” to everyone that works to make these delicious products. We have even shared these pickles with a new generation, our grandson, Matthew, likes them also. Keep making our very favorite Polish Pickles! Love your product, but can not seem to find it anymore in my area, Traverse City Michigan. Do you know how I might get your raspberry syrup product? I love your syrup. My husband and I like adding it to our sun tea to make raspberry tea. I use to be able to purchase this in a store in Merrillville, Indiana. I am looking for a store in my area where I can buy your Beets with Horseradish in glass jars. I found one lone jar in a store that no longer carries it, but it was the best relish I have ever had and I want to find more! I really love your Vegetable Salad #4. Where can I buy it in or near Colorado Springs, CO in the USA? My husband purchased your pickles at our local Dillon’s Marketplace, in Derby, Kansas, U.S.A. We loved them from the first jar, and always have a jar in the refrigerator now to enjoy with our meals and snacks. My husband, Don, served in the U.S. Army at the Chinon Depot, in Chinon, France in the 1950’s. He told me that there was a “Polish Canteen” in a room in the barracks that the soldiers could go to buy the most wonderful Polish pickles, Polish sausages, sauerkraut, and French bread. They served wine, beer, and French soft drinks. The people that ran this canteen and the “Polish Guards” were refugees from Poland that were promised admission to the United States if they served for three years. Don was a nineteen year old from west Texas at the time, but has never forgotten how good those Polish pickles and sausages were. Isn’t that a wonderful memory that has lasted a lifetime? He’s 76 years old now. Our “Thank You” to everyone that works to make these delicious products. We have even shared these pickles with a new generation, our grandson, Matthew, likes them also. Keep making our very favorite Polish Pickles! I was visiting Indianapolis, Indiana USA for the Christmas and New Years holidays. I went to a supermarket called Meijers and purchased a bottle of your red raspberry syrup. It was fantastic. I would like to know where I can find a store where I can purchase your products. I am looking for Polonaise brand Polish Dill Pickles. I am located in central Illinois near Champaign. Is there a on line site that I can purchase from? Let me start by saying that I recently purchased your Polish Dill Pickles from a local market (Jungle Jim’s in Fairfield, Ohio USA) near where I live and they are wonderful. They taste exactly like the Polish dill pickles my aunt Susie used to make many years ago. Also, I was to talking to my cousin about this product and could you please let me know where he can purchase your products in Minneapolis, Minnesota USA. Keep up the good work… very delicious products, especially the dill pickles. I was so excited to find a jar of your excellent White Cabbage Salad in the Air Force Commissary on Eglin Air Force Base on Fort Walton Beach, Florida. My parents were Polish immigrants and the taste is the same that I remember from my childhood. I am now 76 and very mindful of eating prepared healthy food with no preservatives which is not overly salted. I will call the Manager to see what other products they carry from your company and thank them for this one. One question: Since there are no preservatives how long will your glass- jarred cabbage salad safely keep in my refrigerator once the jar has been opened? Thank you for your prompt reply and best wishes for your continued success. (Blazejewicz was my father’ name ; my father changed it to Blazwicz on my birth certificate; my mother’s maiden name was Paluch). If you by chance know of any Polish people by those names who are fluent in English and would like to correspond let me know. Thank you so very much for your wonderful products which I love. I can buy them here in Atlanta, GA at Whole Foods. Your pickles are the best. I am one man who appreciates all the hard work that all of you do every day. for me to be picked up. I didn’t expect such a great outcome and it happened thank’s to you. I do really like your idea of bringing polish products into our market. No words to add. Very well done!